As usual, the team here at Prima Ekuiti (UK) Limited assisted and represented KWAP at its booth to promote KWAP as an employer of choice at the annual UKEC-Graduan Fair. Every year, KWAP sends its young talent to promote their KYT programme (KWAP's Young Talent) to tell students their first hand experience & career opportunities. If you are planning to attend next year, please do visit our booth! Our annual Investment Challenge continues to grow in participants & prize money! This year's contestants continued to provide many new fresh idea's for stock investment. Thanks to a successful partnership with MACFIS, we managed to double the number of entries from the previous year. We hope to continue to build on this momentum and have a bigger and better challenge for 2019! Please stay tuned to our Investment Challenge page for further updates. We have chose Fulham Reach Boat Club to organise a corporate rowing session as part of our team building exercise, by incorporating fundamental rowing skills to improve working as a team. 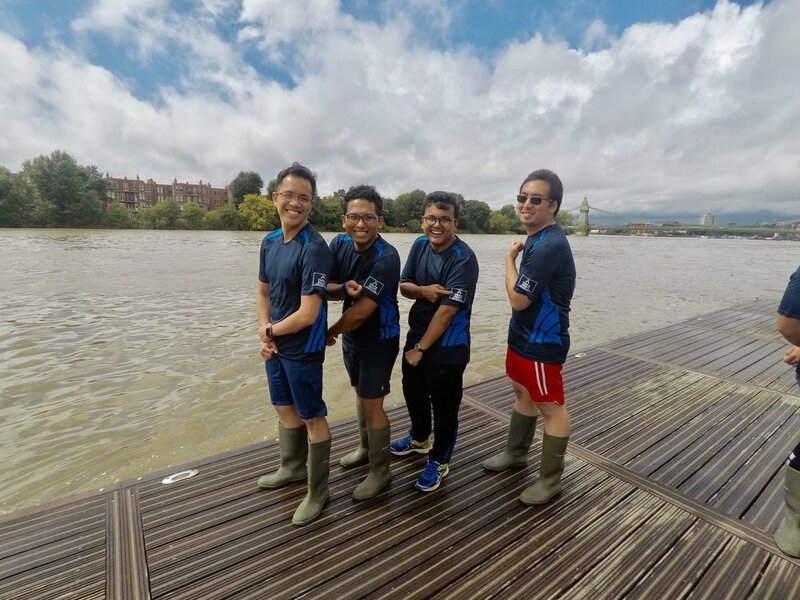 It also provides exposure to one of Great Britain’s most successful Olympic sport and the chance to row along a stretch of the renowned Oxford vs Cambridge Boat Race. In addition, the proceeds raised are donated to the outreach project at Fulham Reach Boat Club, a UK registered charity, to unlock the potential of young people through rowing. A noteworthy anecdote, 55% of young people in Hammersmith & Fulham suffer a level of social and economic deprivation, which limits their opportunities in life, and the said programme offers these children an experience that they otherwise simply would not get access to through exposing them to elements of teamwork, focus, confidence and ambition.